The world's best players on the kantxa Luzienne, You can attend a memorable parts of Cesta Punta! The Super Final will be played on August 30th! 8.45: a "Quiniela" game between amateur players, so you can discover the Cesta Punta, its rules of play, the champions of tomorrow. 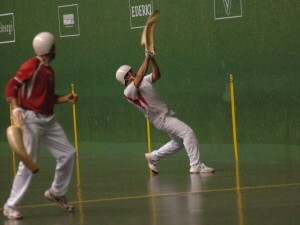 9.30pm: Entry into the Jai Alai Saint Jean de Luz of two teams of Cesta Punta professional players. After 10 minute warm up, accompanied by Basque choirs, the game starts. 9.40pm: Game of approximately 1 hour between the Cesta Punta world's best players, and ending in a warm musical atmosphere dear to the Basque Country. 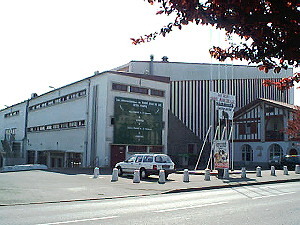 An awards ceremony will be held after the finals. 4 teams of professional players who are involved in each tournament. 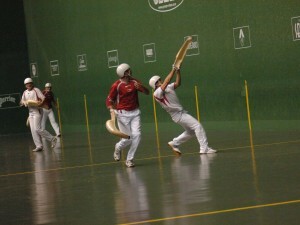 The two teams from the semifinals will compete in the finals. All games are played in 2 winning by 15 points. 5-point final round in a tie. ACP includes a ranking tournaments in the region will determine the best players of the season.